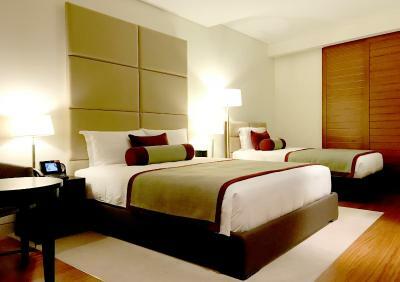 Lock in a great price for Oryx Airport Hotel -Transit Only – rated 8.7 by recent guests! We were disappointed that our stay did not include access to the lounge on first floor. we were turned away for breakfast. Check in was easy. The staff went out of their way to help us in any way possible. It was cool to open the window covering and look down on the concourse. We had only about 6 hours until our next flight so this hotel was perfect. Because we did not check baggage, we were able to avoid passport control and customs since the hotel is reached by following the transfer passage. The room was clean, modern and comfortable and check out was a breeze. Perfect location . Excellent facilities. Quick and easy check in . It is wonderful to be able to check in airside and be so close to the gates and avoid immigration. It was a transit hotel. It was good to get some sleep before catching the next flight early in the morning. It was easy to locate and fast check in. I like the idea of the location, Not having to rush to board the plane because its in the terminal itself. Location for sure, great for long layover, fast check in and check out. Comfortable room and bed. 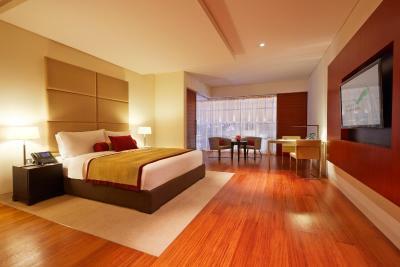 Big room suitable for families. The convenience of an in-airport hotel for our long layover between international flights. Convenience of the hotel in the terminal. Good shower. Friendly staff. 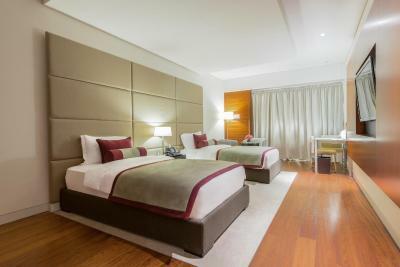 The room and bed were comfortable for my 9 hour layover at the Doha airport and the staff were very helpful. I do feel that it was a little pricier than it needed to me, but being the only transit hotel at the airport there's no real competition for them. 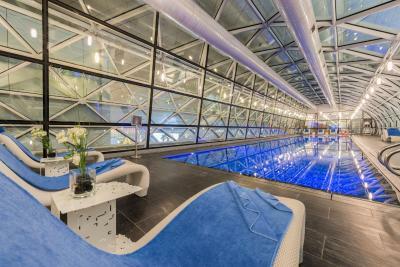 Featuring a lap pool and free WiFi, Oryx Airport Hotel offers elegant accommodations at Hamad International Airport, Doha. 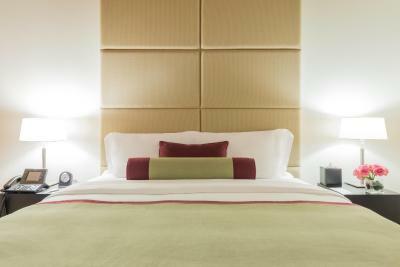 The rooms at Oryx Airport Hotel provide travelers with a flat-screen TV, an alarm clock and a laptop safe. An electric kettle and a mini-bar are also included. 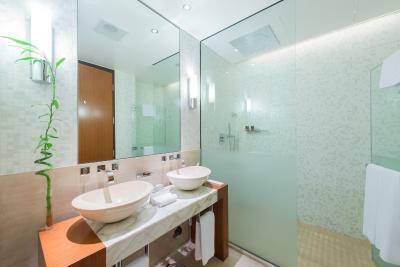 The private bathroom comes with a bathrobe and a hairdryer. 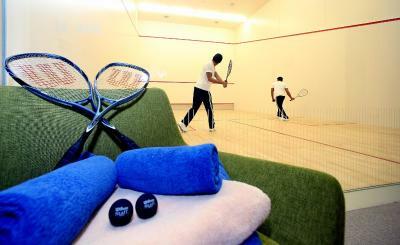 Heart rate accelerating activities include squash, lap pool and a state of the art gym. 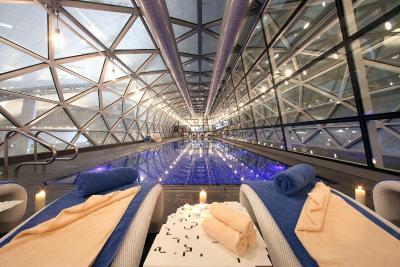 To cool down, the spa at Oryx Airport Hotel offers a hot tub and massage treatments at a surcharge. The 24-front desk offers express check out service in addition to currency exchange service. A gift shop and a mini-market are available on site. Doha Sailing Club is a 10-minute drive from Oryx Airport Hotel. Doha Corniche Promenade is 9.3 mi away. City Center Shopping Mall can be reached by car in 25 minutes. 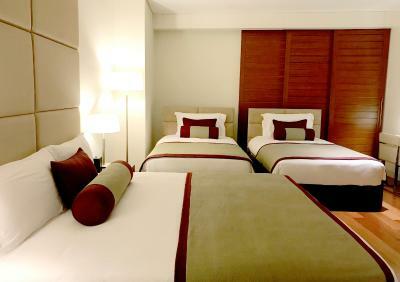 When would you like to stay at Oryx Airport Hotel -Transit Only? This air-conditioned room features a flat-screen TV, a desk and a safety deposit box. An electric kettle and a mini-bar are also included. The private bathroom comes with a bathrobe and a hairdryer. Please note that this room can't accommodate an extra bed. This room is located in airside transit. 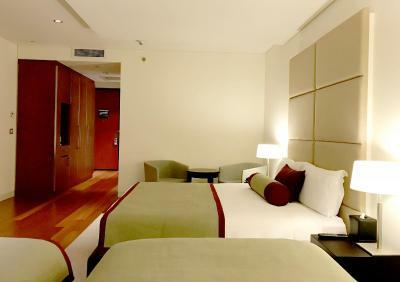 This spacious, air-conditioned room features a flat-screen TV, a desk and a safety deposit box. An electric kettle and a mini-bar are also included. The private bathroom comes with a bathrobe and a hairdryer. It allows check-in from 9:00 hours and stay up to 17:00 hours only. 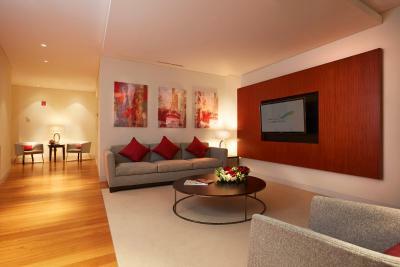 This room also includes Al Maha meet and assist passenger service. House Rules Oryx Airport Hotel -Transit Only takes special requests – add in the next step! 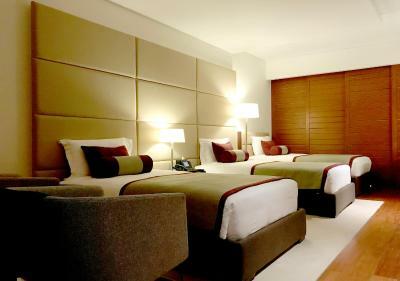 All children under 16 years are charged QAR 120 per night for extra beds. 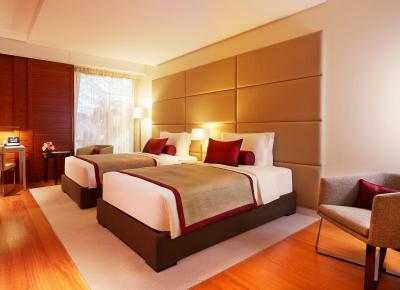 Any additional older children or adults are charged QAR 120 per night for extra beds. Oryx Airport Hotel -Transit Only accepts these cards and reserves the right to temporarily hold an amount prior to arrival. 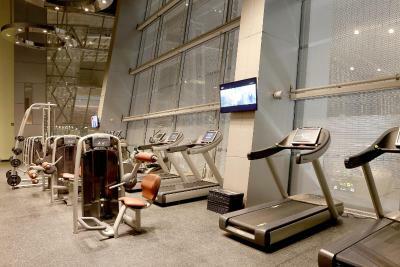 Please note that Oryx Airport Hotel is located inside Hamad International Airport after passport control. You must be in transit to access the hotel. Passengers must have a valid boarding pass for next connecting flight and a passport to check-in the hotel. Passengers on transit through Hamad International Airport are strongly advised not to pass through immigration and also to carry any required toiletries or medicines in their hand baggage as they will not have access to retrieve their checked in luggage. Please note that Oryx Airport Hotel is a non-smoking property. Being inside the airport, there are dedicated smoking areas within the airport ground but not inside the hotel premises. Please inform Oryx Airport Hotel -Transit Only of your expected arrival time in advance. You can use the Special Requests box when booking, or contact the property directly using the contact details in your confirmation. We just slept here for a few hours between flights but the location is so handy. In bed an hour after landing! Staff were friendly too. Close to any facility and any gate. Excellent hotel if you have a longer layover. The room and the bathroom is big. We also used the room service and food was very tasty. Far to walk , nobody helps . Reception staff were absolutely horrible. Got the feeling cleaning staff were unduly promoted without proper training. The hotel’s porter was awesome though. Clean and nice. 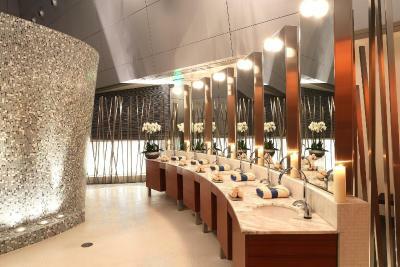 Amenities are good.